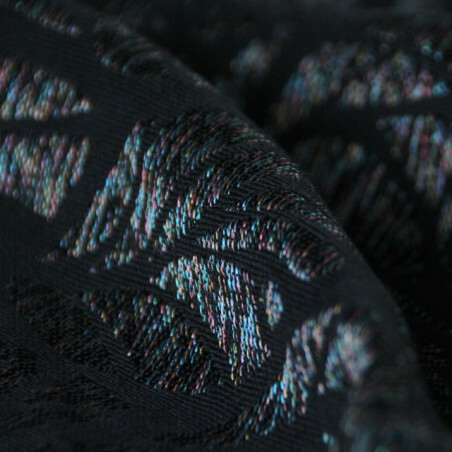 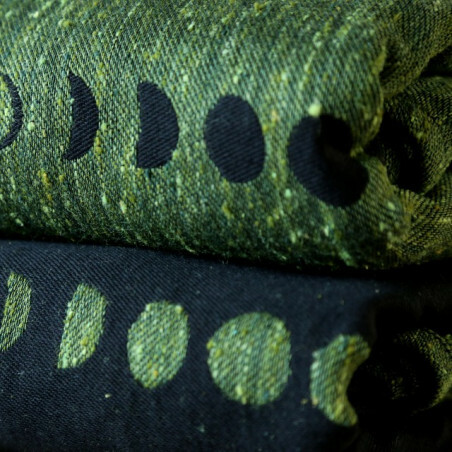 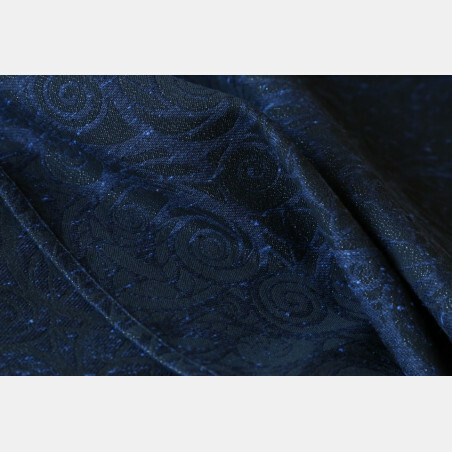 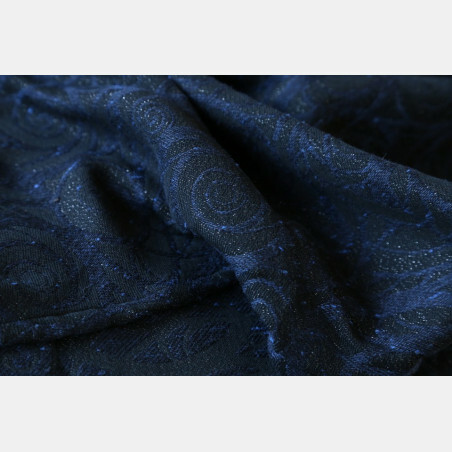 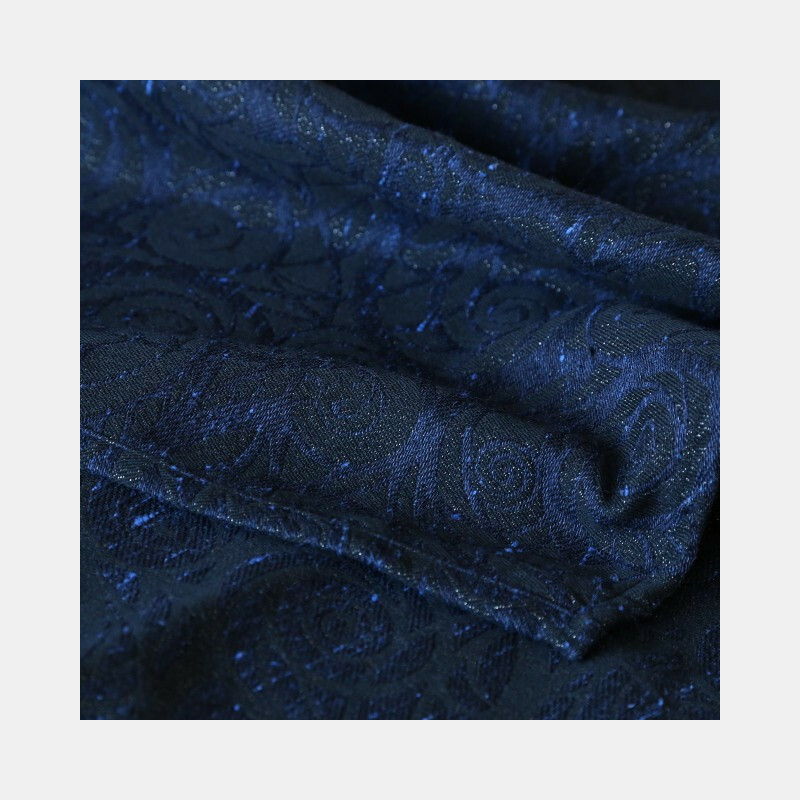 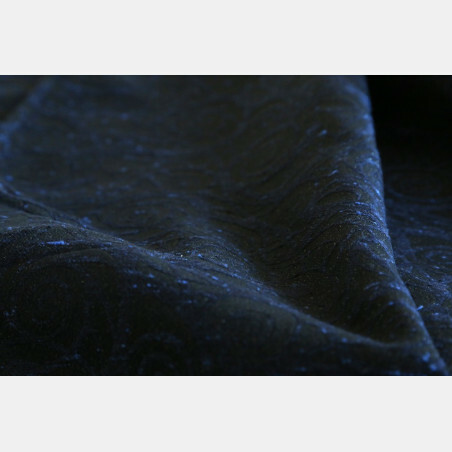 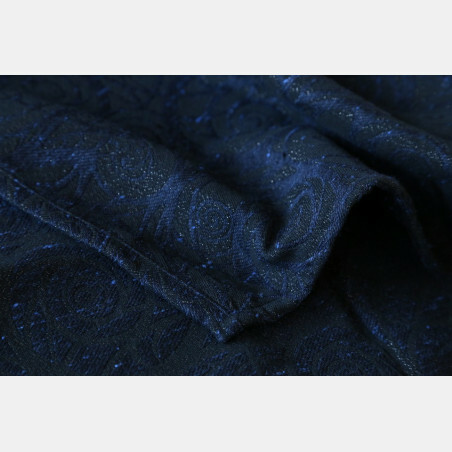 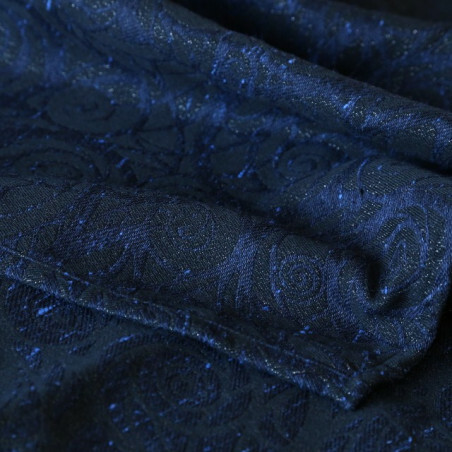 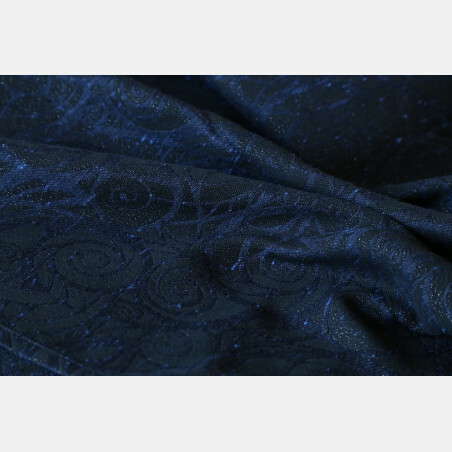 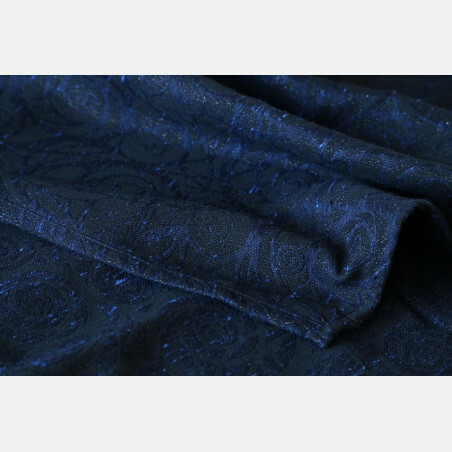 Dark blue slubby tussah silk with ligther blue nubs on black with silver glitter. 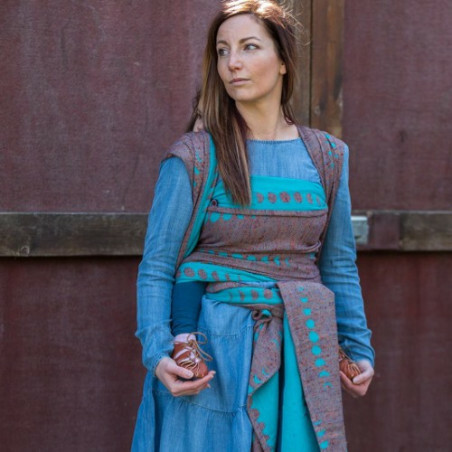 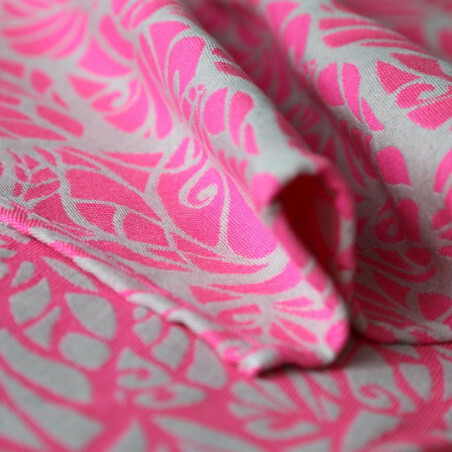 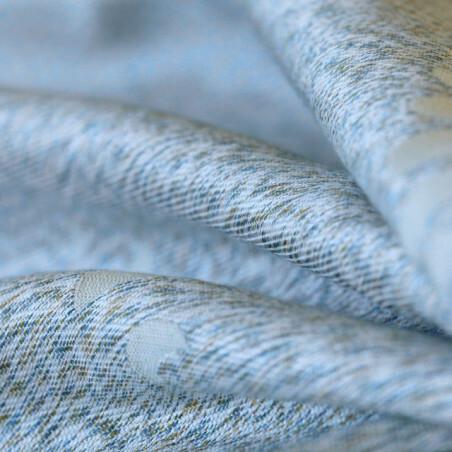 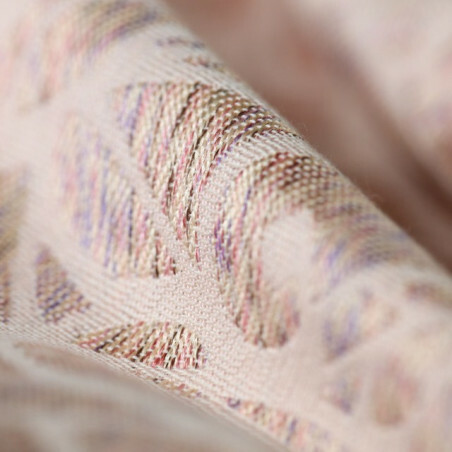 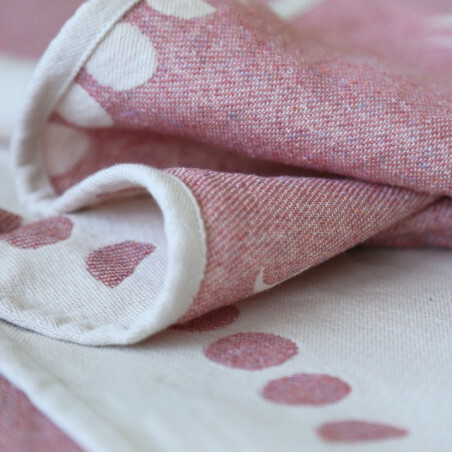 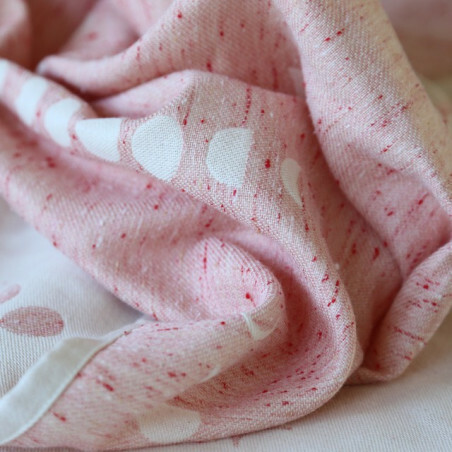 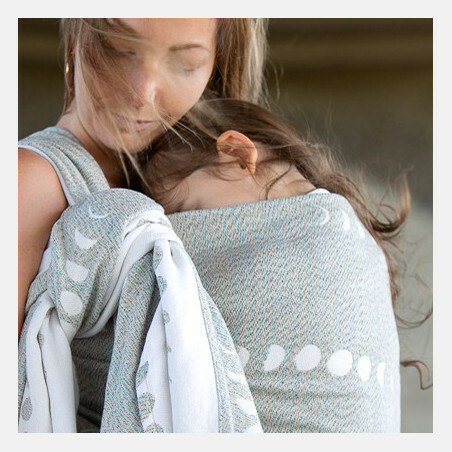 Woven in our signature raspberry weave, this wrap turns into a cloud of softness in no time. 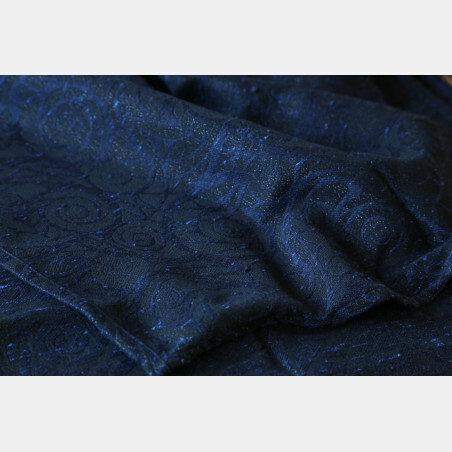 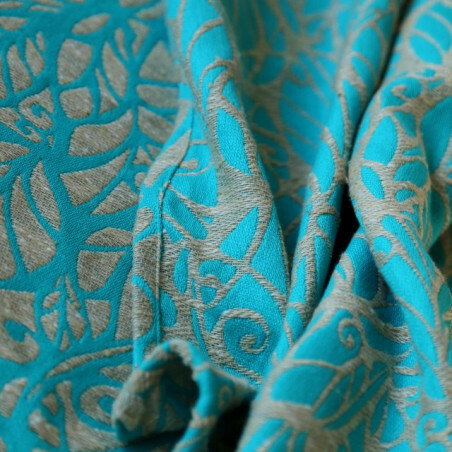 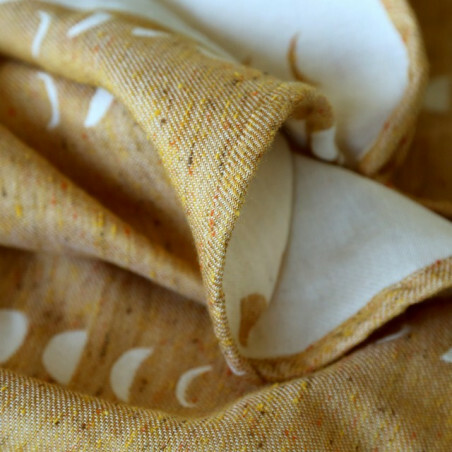 This weave combined with the slubby tussah silk results in a perfectly balanced combination of softness, grip and support. 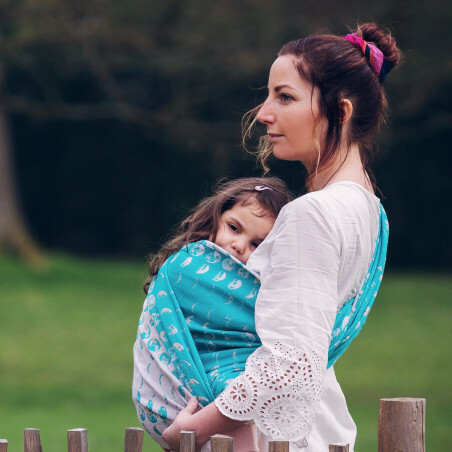 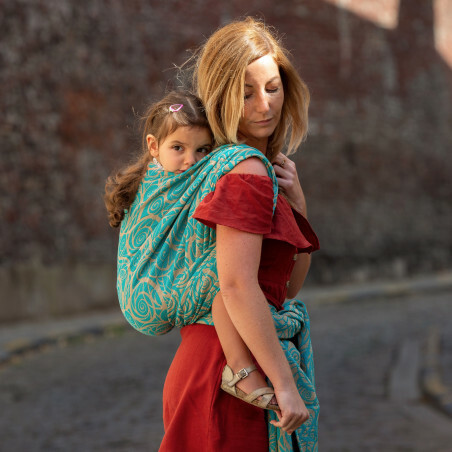 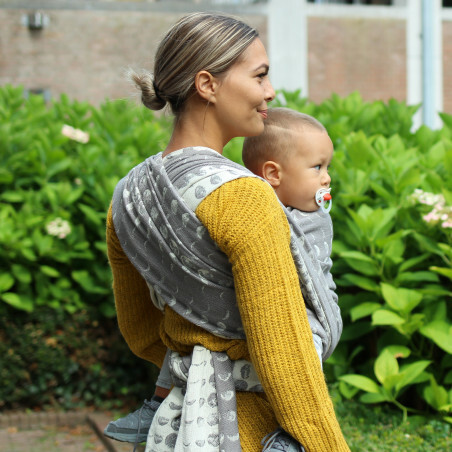 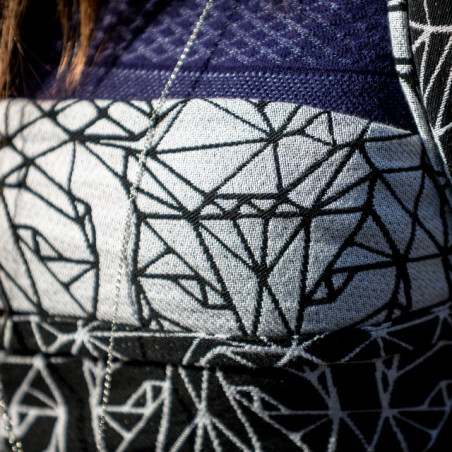 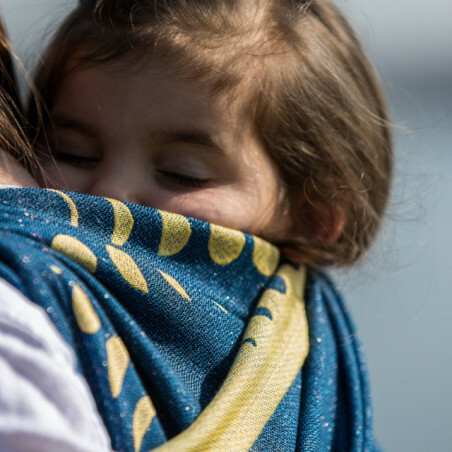 The wrap is suitable for all ages.